Charities representing EFL clubs from across the country came together at St George’s Park this week for the EFL Trust’s Annual Conference. The network of 72 EFL Club Community Organisations reach over 1 million people each year with project and activities that the improve health, inspire education, reduce crime and bring communities together. The EFL Trust National Conference is an opportunity for the network to come together in one place to hear inspirational speakers, discuss key issues, share best practice to enable them to positively benefit the lives of more people in their communities. Leading the Conference this year were two amazing young people who themselves are testament to the work of the EFL Trust. 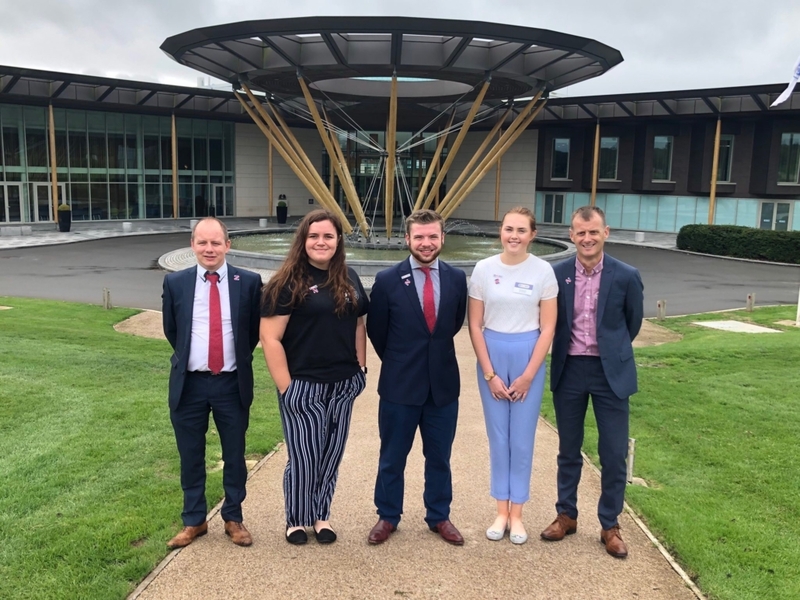 Cara Harrison and Charles Gray, both aged 18, completed the National Citizen Service (NCS), through the EFL Trust’s network. NCS develops life skills and helps the integration of 15-17 years olds into their community. 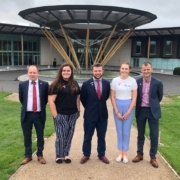 Both young people handled the daunting situation of speaking in front of an audience of 200 people with maturity beyond their years and were a shining example of the skills and confidence gained from being part of NCS. EFL Trust Chairman John Nixon then opened proceedings before handing over to EFL Trust Director of Operations, Mike Evans and EFL Chief Executive Shaun Harvey, who spoke about the important part that EFL Clubs and their Community teams play in delivering life-changing community projects, reaching one million people every year and investing a collective £67m in their local areas. Hardip Begol, Director at the Ministry of Housing, Communities and Local Government, and a strong advocate at the heart of Government about the power of sport, then addressed the Conference about integration and reflected upon the unique position that Clubs are in to engage hard to reach people. Later, Mind CEO Paul Farmer addressed attendees as the EFL begin a ground-breaking new charity partnership this season. 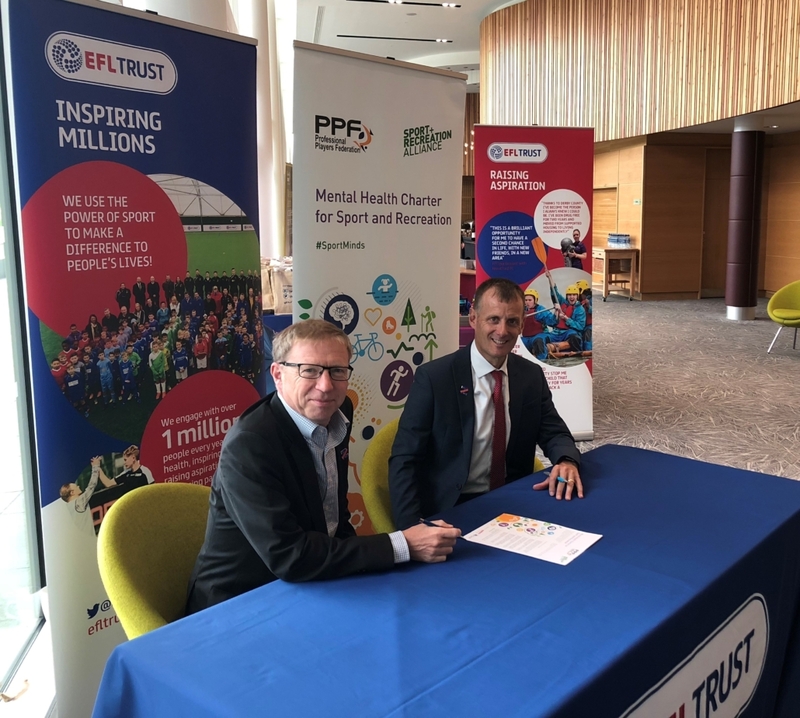 As part of the Conference, The EFL Trust signed the Mental Health Charter for Sport and Recreation, pledging an aligned approach and commitment with EFL to focus on the health and wellbeing of their teams. Workshop sessions provided the opportunity for delegates to focus on key areas of interest including strategy for the future; a Prison Twinning project, delivered by David Dein and Jason Sweetenham; finance; governance; HR hot topics; the Mind partnership and Club Trust business development. 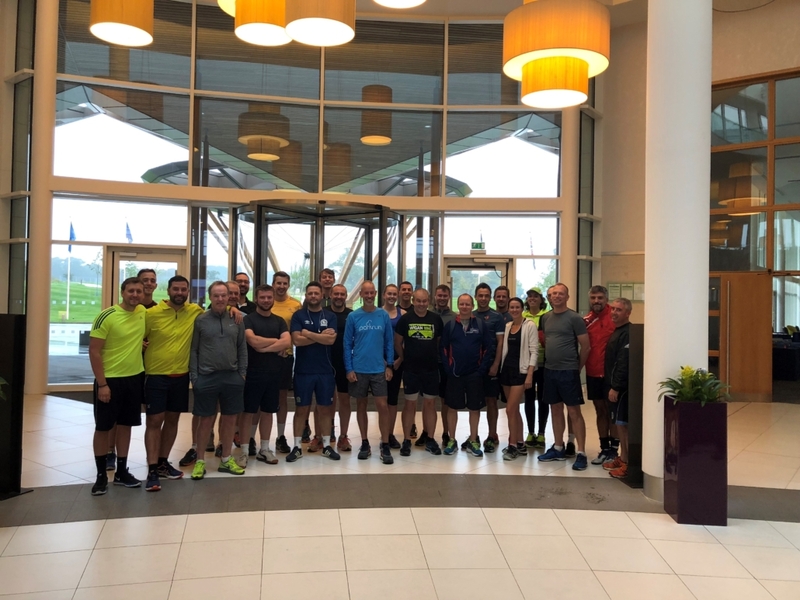 Day two kicked off with members of the community teams taking part in a run around St.George’s Park, inspired by the morning’s first speaker, founder of parkrun, Paul Sinton-Hewitt. Paul started a 5k run in his local park and from that small acorn he created the world wide phenomenon that is parkrun, which now takes place in 1,500 locations around the World with over 2.3 million participants. His message to the Club Community Organisations was to be strong enough to follow those people who stand up and want to make a difference and to break down barriers preventing change. The 2018 Checkatrade Community Club of the Year, Derby County, reflected on the strength of the work going on across the network and shared some of the innovative and impactful work they have delivered. The Conference was rounded off with an energetic address from fund raising expert Rob Woods, who focused on techniques to communicate the story of our charities successes and impact more effectively. The EFL Trust would like to express thanks to all delegates, speakers and workshop hosts who made the tenth anniversary Conference a very memorable event.